When was the Maine state flag adopted? What is the design on the Maine flag and what does it represent? How are you supposed to fly the Maine flag with your American flag? Where can you buy a Maine flag? The current state flag of Maine was adopted in 1909. 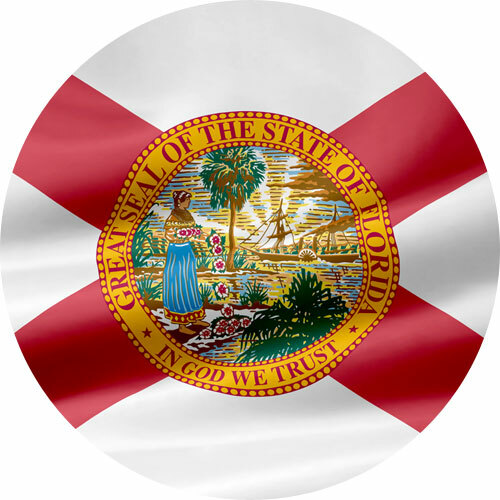 The Maine Coat of Arms is the main feature on the flag and it was adopted in 1820. The flag’s field is blue, the same blue as our National flag. The state flag of Maine features the state coat of arms on a national blue field. In the center of the shield a moose is found resting under a tall pine tree in a field bordered by water and woods. The supporters of the shield are a farmer and a seaman. The farmer is resting on a scythe and the seaman is leaning on an anchor. 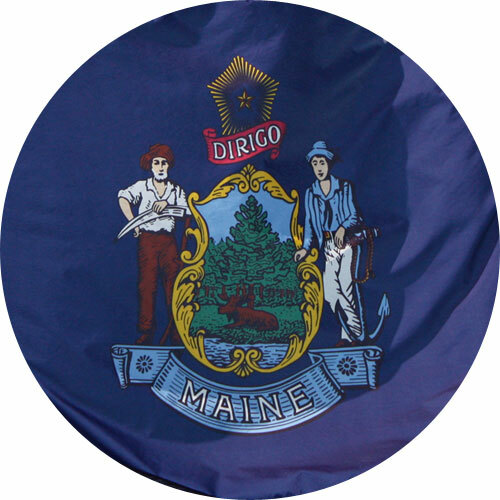 Above the shield on a red banner is Maine’s state motto, “DIRIGO”. Above the motto is Polaris (The North star). 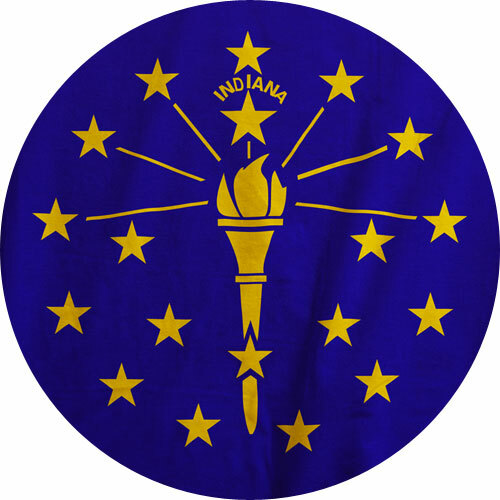 Below the shield is the state name “MAINE” on a blue ribbon. The moose represents the rich wildlife of Maine and the abundance of Moose in the state. The pine tree symbolizes the importance of pine trees for the state’s economy and shipbuilding industry. The water and woods represent Maine’s natural resources. The farmer with the scythe stands for the central role of farming to the state. The sailor with an anchor shows the crucial role of seafaring commerce in the state economy. The two men from separate worlds both stand over land and sea, not only using, cultivating, and enjoying the land and sea, but also protecting them. The North star notes Maine’s position as the northernmost state in the adjoining United States. Maine was the northernmost state in the U.S. when the flag was adopted and until Alaska joined the Union in 1949. 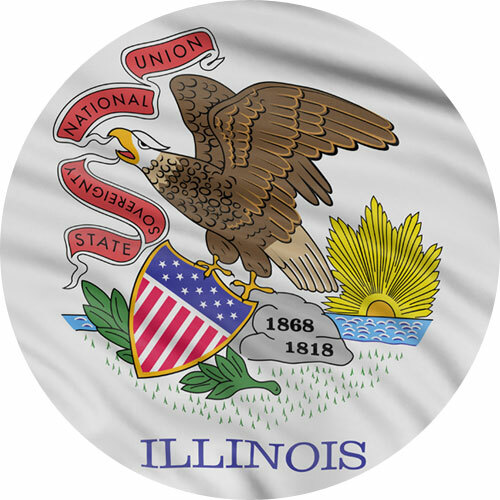 The state motto, “DIRIGO” is Latin for, “I Lead”, and represents the state’s reputation as a “bellweather”. It gained this reputation because Maine used to hold elections in September, ahead of all other states. When flying the Maine and American flag on the same pole, the flag of the United States must always be at the top and the Maine flag should be the same size or smaller. When It is flown on separate poles, the Maine flag will be to the right of the flag of the United States situating the U.S. flag in the position of honor, which is to the observer’s left of the other flags. 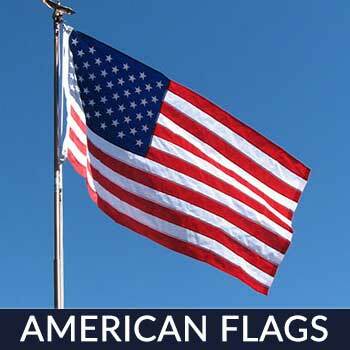 Star Spangled Flag sells a beautiful Maine flag that is 100% made by materials made in the USA! 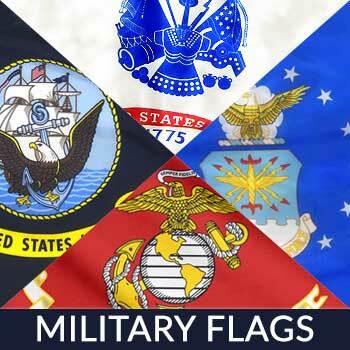 They use a tough material and add UV protection which adds to the longevity of the flag. They also use superior stitching that helps to prevent fraying and unraveling. A big plus is that they provide free shipping! When one mentions Maine, the first thing that comes to mind are lobsters! This state catches and serves the best lobsters in the country and on the planet. Due to its location, Maine boasts of magnificent seaside views (due to its rugged coastline), sandy beaches, and offshore islands. It’s bordered by the Atlantic Ocean to its south and east, to its west New Hampshire, New Brunswick to its northeast, and Quebec and Canadian provinces in its northwest. But lobsters are just the introduction to Maine, it’s also famous for lighthouses, the Acadia National Park, Tubby’s ice cream, Old Port, blueberries, clam chowder and Stephen King. Planning on visiting Maine for its world famous lobster and chowder? 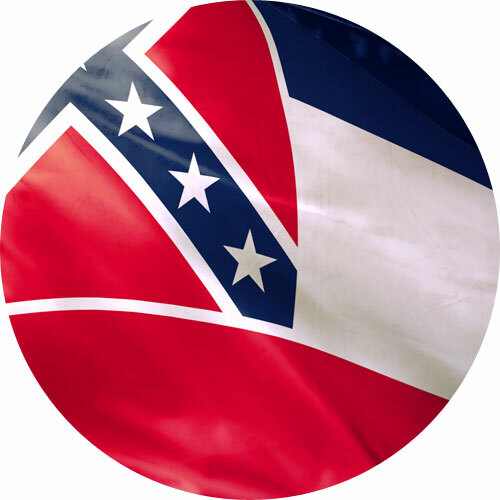 Better beef up your knowledge on some of the unique laws implemented in the region to avoid getting a fine or jail time. Sec. 100-4. Prohibited Acts [Amended 11-2-1993] It is prohibited to put advertisements in cemeteries. This 3-day festival has been around for more than 42 years and is always a big crowd drawer for the state. More than 120,000 attendees come in each year to join in the many fun activities including; clam cook-off clam shucking contests, Maine crafts, parades, concerts, fireworks, and everything clam! For the past 15 years, this event successfully hauled in more than 100,000 visitors annually, and the number just keeps on getting bigger. Spectators are treated to 40 colorful balloons with the Great Falls as its backdrop. Plus there are food booths, arts and crafts stalls, kiddie booths, food booths and more activities for the whole family. The Potato Blossom Festival is one of Maine’s oldest festivals. It has been around for over 65 years. It’s to celebrate the season of the potato blossoms and features fun activities such as; potato picking contest, fireworks, river races, beauty pageants, mashed potato wrestling, and arts and crafts for the entire family. 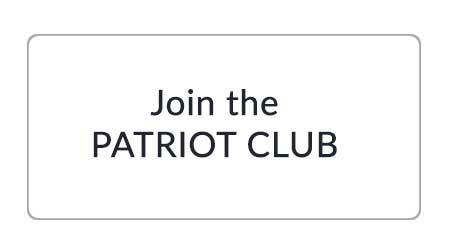 Are you a proud resident of this “Pine Tree State?” Want to know how to show true Mainer pride? 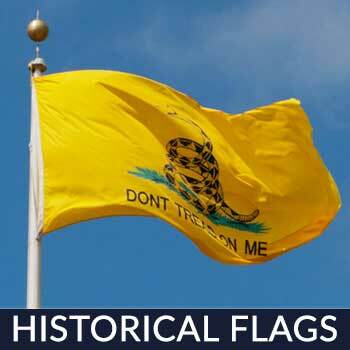 Fly a flag in your home. 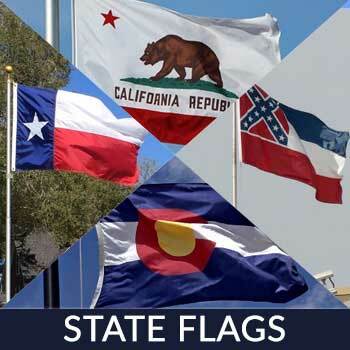 Whether you fly it or hang it, displaying the national flag is a great way to show how much you appreciate your state and country. Need a new flag? We got you covered! 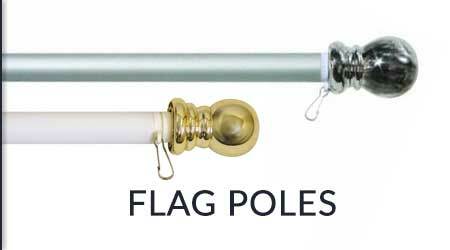 Our US Made Flags are not only good-looking, but hardworking too. Reach out to us! You’ll never be sorry. We have the best flags in the market and it comes in a pretty gift box, which makes it perfect for display or for giving friends and family. Contact us today!